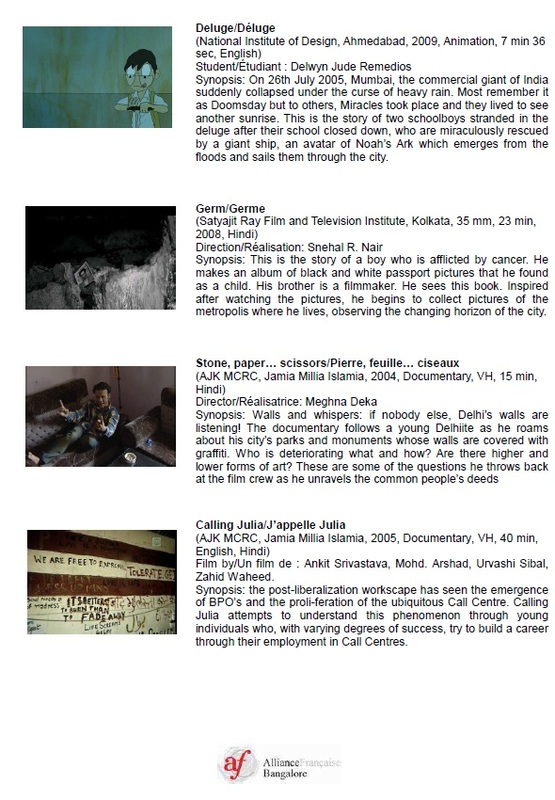 “Festival de l'indiscrète” is a project of subtitling 25 Indian short films in French. 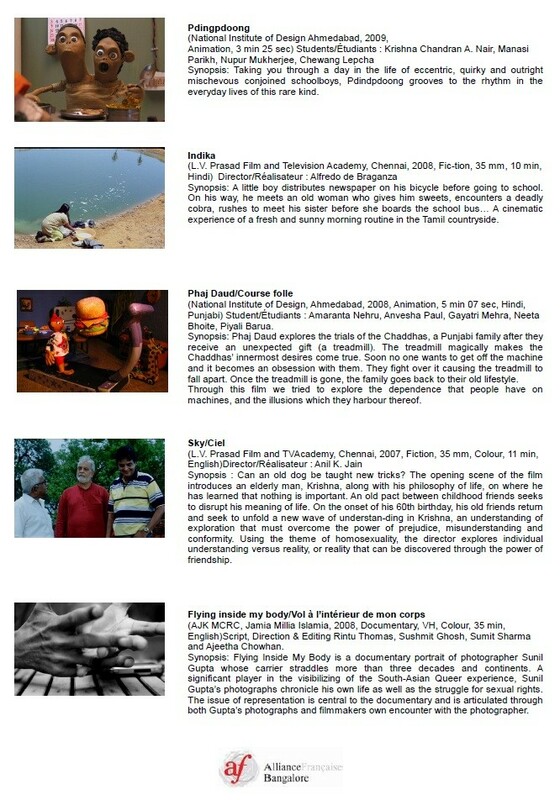 The films were selected from 8 Indian Film Institutes and Media Schools. 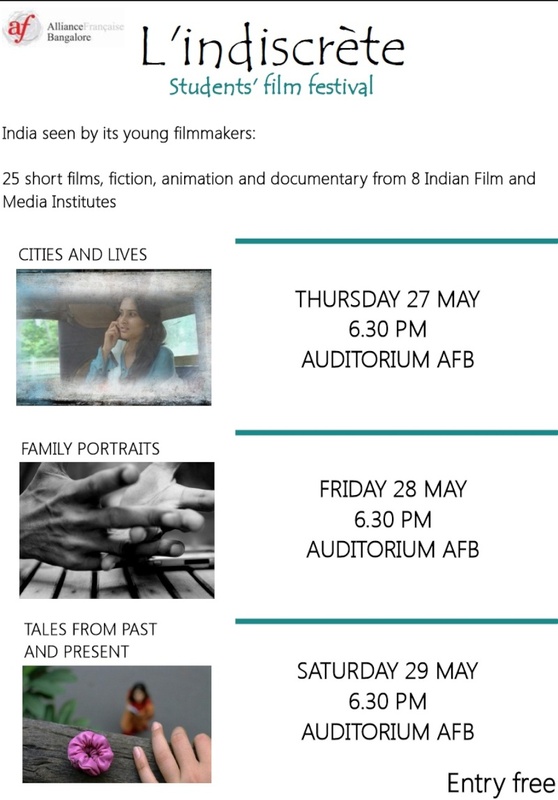 This festival has brought together fiction, documentary and animation films produced by this country’s foremost Film Institutes and Media Schools. They were all made as part of a training program on a shoe string budget. In regular 35mm format or using the new digital medium, the films and their subjects indicate the direction that the young generation of movie makers is taking. As all these films are being presented at various international films events, the project of sub-titling has come to assume a lot of relevance and importance. This festival will tell the world at large about the aspirations, frustrations, hopes, desires, disillusionment and prejudices as a human documentary should do. The “Festival de l'indiscrète” is divided in three sessions. Each session will show around eight films and will last two and half hours. Each session proposes a new and a youthful perception of various aspects of life in India.